There’s more to Scene75 than the world-class attractions, we also have delicious food and drinks! 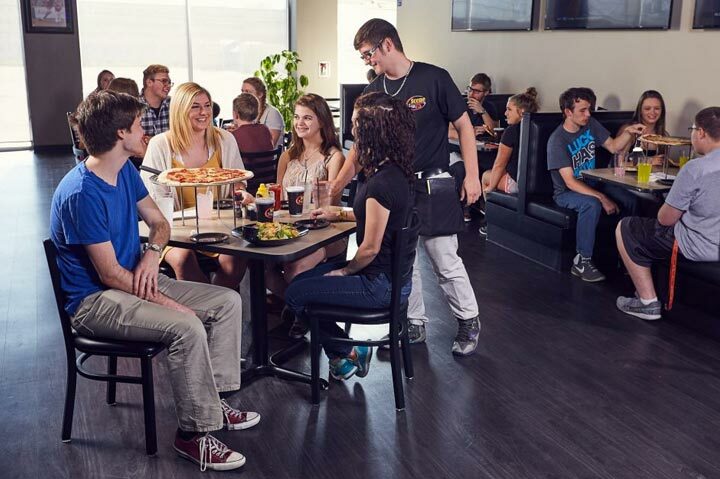 Come on down to Scene75 and devour a pizza fresh from the oven or a burger straight off the grill at our bar & grill. Enjoy one our signature Scene75 specialty drinks with friends at one of our two bars. 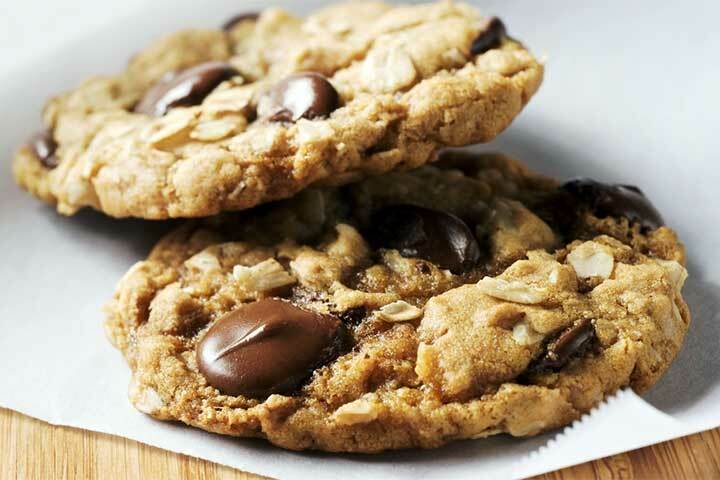 Indulge your sweet tooth on a tasty treat at the Snack Bar. Scene75’s Bar & Grill features a menu of quality appetizers, burgers, pizzas, chicken, salads & more at affordable prices! 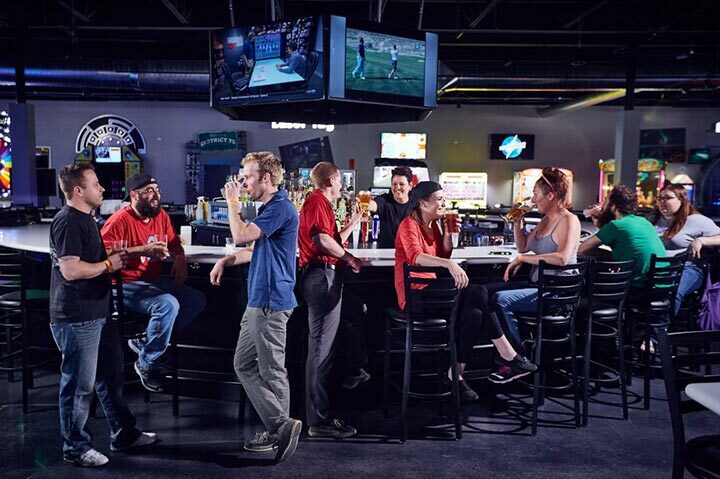 The Center Bar is a great place to meet up with friends after work or for a night out on the town. Check out the link below to learn more about drink specials and the beers on tap for each location. Certain foods are just fun to eat and share; many even bring back memories of childhood. This is the Snack Zone’s underlying principle. Indulge. Choose the location nearest to you below to learn more about the specific menu and options.